Saturday night at the T-Mobile Arena in Las Vegas, Nevada, Mexican native Saul “Canelo” Alvarez (50-1-2, 34 KOs) defeated Kazakhstan-born and Los Angeles native Gennady (“GGG”) Golovkin (38-1-1, 34 KOs) to garner the IBO, WBA and WBC World Middleweight Title. A rematch of the September 2017 fight-a fight judged a draw-was a spectacular, exciting no-holds-barred bout that demonstrated the best the middleweight division has to offer. The boxers both showed remarkable boxing skills and resolve in a fight that could have gone either way. In the first matchup, Canelo Alvarez started strong, winning the first two rounds, but subsequently lost a chunk of the middle rounds due (in part) to languishing on the ropes and allowing Golovkin to take his time and land searing hooks and uppercuts. In response, Canelo unwisely shook his head side to side as many fighters do in an attempt to persuade the judges and audience that the punches did not hurt. This tactic has the opposite effect, letting everyone know that, yes, those blows did in fact hurt. The “Rope-A-Dope” strategy was implemented by Muhammad Ali on the fly in the infamous “Rumble in The Jungle” heavyweight fight against heavily favored George Foreman in 1973. Ali laid on the ropes the first half of the fight and withstood the massive punches of Foreman, frustrating the bigger man so much that Ali was able to eventually tire the bigger, stronger Foreman and knock him down and send big George in semi-retirement. Different boxers, different era, different weight classes, but laying on the ropes did not help Canelo in any event in that first match. In that first bout, Golovkin turned the tide in the third round, displaying the relentless style he was known for, and continued his assault en route to a draw-a dubious decision considering one judge (Adalaide Byrd) scored the bout in favor of Alvarez 110-118. At the very least, had this judge scored the match fairly and given Golovkin a round or two that he clearly deserved, Triple G would have prevailed via a close decision. 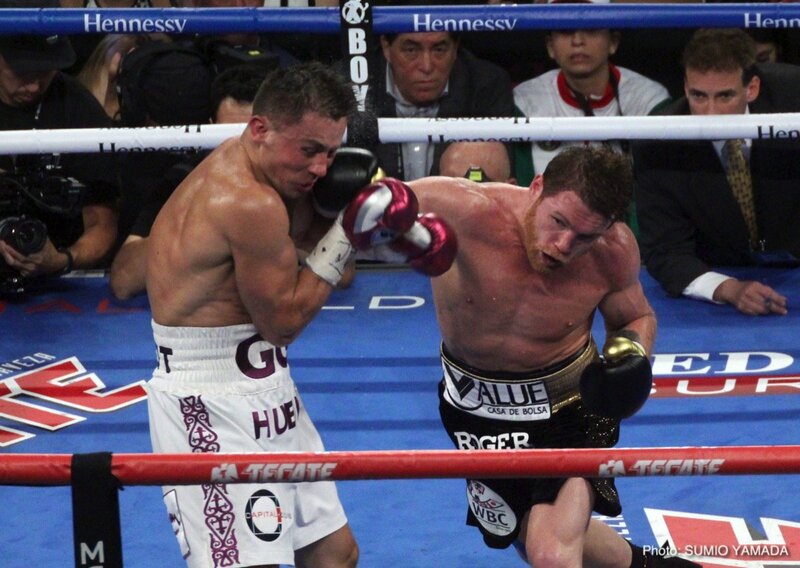 In Saturday’s rematch, Canelo stayed off the ropes completely. The Mexican fighter fought a true “Mexican style” bout: being the aggressor, standing toe-to-toe and trading blows without regard to safety. Canelo stalked and walked Golovkin down, swallowing crushing blows that would have floored most middleweights. Compubox numbers verified that Canelo landed the majority of power shots (though Golovkin was more effective with the jab). In the end, the decision went to Canelo with one judge calling it a draw and the other two judges calling it 115-113 in favor of Alvarez. Yes, an objectively reasonable decision. But Golovkin has a legitimate beef that he was cheated in the collective two fights. Why? Because he should have won the first fight-absent an abhorrent scoring by judge Byrd-and, in the rematch, a closer fight, he just as easily could have been judged the winner and no one would have called it a robbery. So, despite magnificent performances in both fights, an aging Golovkin (36 years old) now must confront father time and the prospect of a rubber match against a boxer eight years younger and in his prime. It is completely understandable that Golovkin opted out of the usual post-fight interview, instead retreating to the locker room. Triple G fought two spectacular bouts against an equally talented fighter but has nothing to show for it except his well-deserved pride and the admiration of boxing fans across the globe. A fight for the ages, and boxing at its finest. But unfortunately, not the most satisfying fight given the circumstances. But such is The Sweet Science. Both men are true warriors and sure to hallow the Boxing Hall of Fame. You are here: Home / Boxing News / No Rope-A-Dope: Canelo’s Game Plan Pays Off. But Did Golovkin Get The Short End of The Stick?